Price is Down, Let's take a tour and make it Yours! Selling Restaurants presents a Thai cuisine restaurant with elegance at every turn. 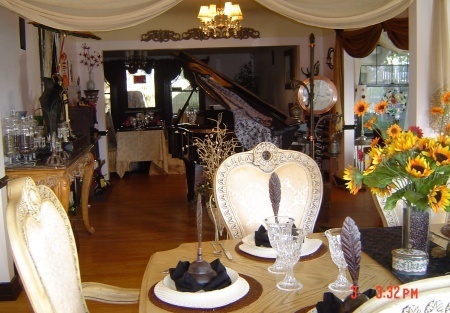 The restaurant is filled with antiques that are part of the decor including a baby grand piano. Customers rave in the local review. The restaurant has been currently listed in "Places to visit in Western Washington" book. It is set in a 3000 plus square foot home with a complete basement for storage. Amenities include a full kitchen with up to date equipment and a hood,huge walk in cooler, plus extra stand alone refrigerators. It includes a beautifully landscaped yard to cater weddings and parties of all kinds. It is on a very busy street with other successful restaurants. People come to this location for the dining experience. Hurry before the wedding season hits and get your reservations booked up.